To meet the tech sector's demand for skilled staff, schools and universities must widen their curriculum. The UK is the leading technology hub in Europe having produced more tech ‘unicorns’, such as Deliveroo, Zoopla, Transferwise, ASOS and Shazam, than any other EU country. Reportedly, it is also the largest digital economy as a percentage of GDP in the G20. In light of this, there is a high demand for skills and perhaps, unsurprisingly, the country is facing a skills gap. This skill gap is more acute with Brexit on the horizon. Quarter on quarter (Q1 2016 to Q1 2017) there has been a 10% reduction in applications from the EU continent for roles within the UK digital economy. According to data from the Recruitment and Employment Confederation, the sector relies on EU citizens to fill around 180,000 jobs which represents about a fifth of all tech jobs in London alone. And, by 2020, it is expected that the UK will have more than 750,000 new ‘digital’ jobs and British businesses will need to train nearly 2.3 million people to meet the demand. I firmly believe that business and education really need to address these requirements before the skills gap becomes detrimental to the British economy. There are a few key areas where demand is currently outstripping supply in the tech skills market such as: data analytics, CyberSecurity, Python, Ruby, UI and UX. However, we must not forget to continue training and developing the next generation of infrastructure engineers. Infrastructure engineers are the people who run the servers and networks that support the applications and developers. They are the foundation to future tech 'unicorns'. Being an infrastructure engineer requires a different set of skills with a focus on Linux, systems administration, network topologies, some coding in DevOps languages such as Perl and Python and the ability to operate infrastructure at scale. But, at the moment, our programmes for teaching these skills are almost exclusively self-taught home learning and few university courses, with the majority being taught by businesses as part of internal training programmes or by utilising certified courses. There's no doubt that the pipeline for all tech and digital skills is weak. Currently, 74% of tech workers have a degree but the number of students graduating with a computer science degree has dropped significantly since 2002. 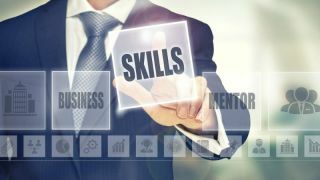 If businesses want to secure the best talent possible they will need to consider passion and self-taught skills alongside the requirement of formal qualifications. This is something we focus on at 4D. With the significant proportion of our engineers being self-taught when they first interview, we have a focus on a passion for tech being a major component of our hiring process at all levels and then we look to support and nurture our engineers with further certified courses. The Government does have a number of resources at their disposal to address this skills gap for the short, medium and long term. In the short term, continuing with the right type of immigration is important to ensure that we can plug gaps in the current UK skill base. In the medium and long term, the Government needs to be focused on education to ensure that the tech workers of tomorrow have the right skills and attitudes. Apprenticeships can help here especially for tapping into the large number of self-taught tech workers. And at an even lower level with primary school education initiatives such as the coding from five. Getting kids engaged with tech and digital skills will help hugely, however, we won’t feel the benefit of these initiatives for at least another 15 years. To be able to deliver this longer-term improvement in skills, I also think we need to ‘up-skill’ the teachers. The Digital Skills report highlighted that “Only 35% of ICT teachers hold a relevant qualification”. If the teachers don’t have the skills themselves it makes it very hard for students to learn. As already noted, the number of computer science graduates has been dropping and to help combat this the government is trying to tackle the problem by subsiding tuition fees for tech students (March 2017 Budget). Encouraging students into courses through subsidised tuition fees is a good start, but there needs to also be a wider curriculum change both at school and university to meet the skills being demanded by the tech sector. Python has already been added to the Senior School curriculum for all pupils, which is a step in the right direction. This, along with the coding from five initiative, means we're heading in the right direction but there still seems to be a lack of encouragement for students to take up computer science at A-Level or Degree level and this is of greater concern.